Five projects have been selected for iview’s Long Story Short initiative. Each project will receive funding to create and produce a short-form, digital-first scripted series for audiences aged 18-35. There were more than 250 applications in the joint ABC and Screen Australia initiative. The five teams will participate in a two-day workshop led by writer Mike Jones and ABC executives. The Edge of the Bush (VIC) — A comedy from creator/writer and performer Anne Edmonds (Fancy Boy, Have You Been Paying Attention?) who plays multiple, multi-generational members of the same family, estranged from each other after their calisthenics empire was torn apart years before. Executive producer Kevin Whyte; also featuring a who’s who of top emerging comic talent. F*cking Adelaide (SA) — A dramedy following self-confessed failure Eli and his annoyingly optimistic sister Kitty as they return home to their dysfunctional family in Adelaide, a place Eli said he’d only ever visit for Christmas and funerals. From Closer Productions’ director Sophie Hyde (52 Tuesdays), Bec Summerton (producer) and Matthew Cormack (writer). Mustafa Needs a Wife (NSW) – Newly dumped 26-year-old Mustafa must find himself an Afghani wife in a month… or else his mother finds one for him. 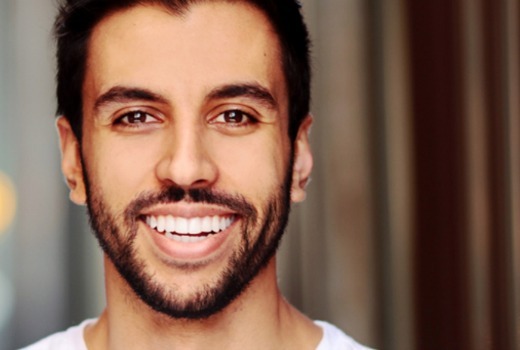 A comedy from writer/actor Mansoor Noor [pictured] (Rake, Cleverman), Yingna Lu (producer), Luke Davison (co-writer) and Steve Anthopolous (director). Other People’s Problems (VIC) – Timid but talented writer Florence and her go-getter sidekick Ann team up to ghost write other people’s letters in exchange for clothes. A dramedy from Charlotte Seymour (producer), Penelope Chai and Jane Dickenson (writers), director Erin White (Stories I Want to Tell You In Person, At Home with Julia) and executive producer Sue Maslin (The Dressmaker). Maybe Today (VIC) — From Indigenous author, activist and master storyteller Boori Monty Pryor comes a collection of vignettes from his life that have delighted audiences worldwide, inviting us to find humour in sad places. Joining him are Kelly West (producer/writer/director), Jon Stanley (producer/director) and Princess Pictures’ Emma Fitzsimons (executive producer). All five series will air on iview over the next year.